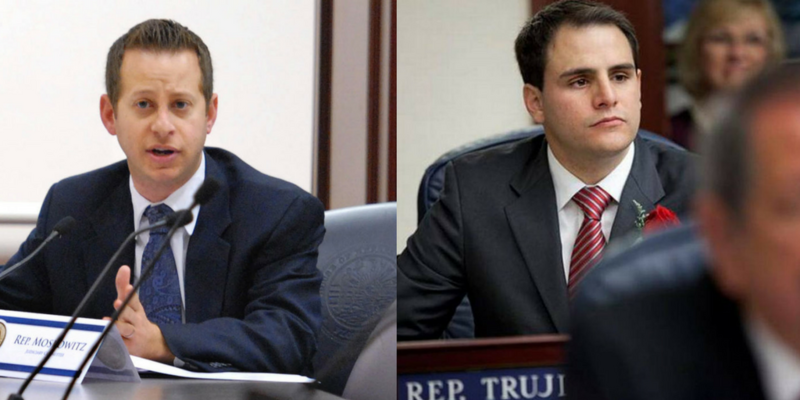 Rep. Jared Moskowitz (left), D-Coral Springs, is the ranking Democrat on the Florida House Appropriations Committee. Rep. Carlos Trujillo (right), R-Doral, is the committee chairman. WLRN spoke with the two top House budget lawmakers about education spending, the new gun law, and the influence of money and special interests. Carlos Trujillo, R-Doral, is the chairman of the Florida House Appropriations Committee. Jared Moskowitz, D-Coral Springs, is the ranking Democrat on the committee. WLRN: The budget signed by Gov. Scott last week includes an average $101.50 per pupil funding increase for K-12 public education. However, many big school districts like Miami-Dade, Broward and Palm Beach will see much smaller increases because of a change in the funding formula. Moskowitz: We hear this every year. This is not a new conversation. I am more than willing to listen to the critique of the formula the state is using. That's not a question. But I also think we have to be looking at our school boards. As long as teachers are having to dig into their pockets for school supplies, that can't just be a state issue. That has to also be a school board issue. We send money down. The school board gets to prioritize where they want to spend that money. Trujillo: What they're complaining about is that 'we got more money. We didn't get as much as the other people,' which I don't think is really a fair criticism. The school boards have a seat at the table when it comes to categoricals, and that's what basically they're complaining about. They're complaining that some of the categoricals were more favorable towards other parts of the state rather than South Florida. That could be a fair criticism, I guess, but overall they're getting additional funds. WLRN: The criticism about this particular spending formula is so much of the per pupil increase is earmarked for specific projects. Trujillo: There's very little trust in the school board's ability to properly administer these funds and really send them straight to the student. 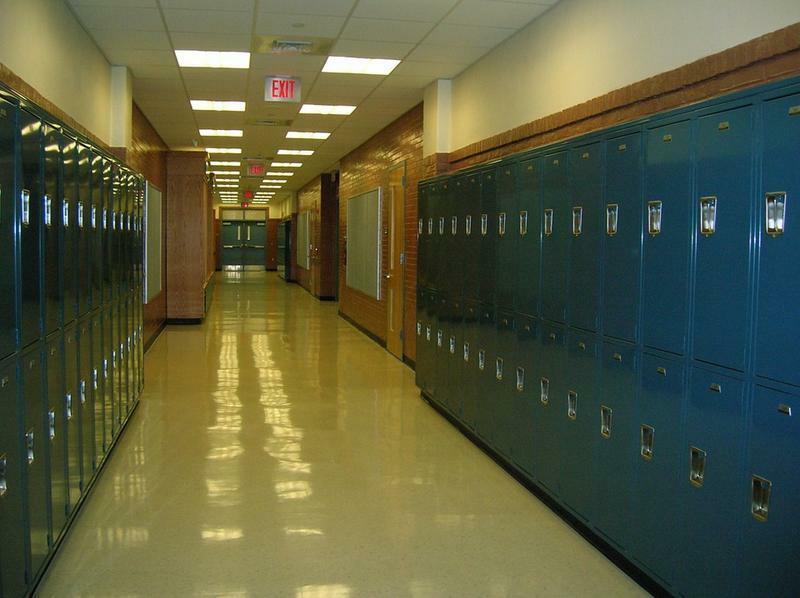 WLRN: Trust between the Legislature and the school boards? Trujillo: One of the categoricals that we're giving money to is so teachers could buy supplies. Before we would just send the money to the school board. The teachers are complaining they don't have sufficient money to buy supplies. Now one of the new categoricals that we're sending money to is for teachers to have the ability to buy supplies for their classrooms. That's something that we should not be legislating, but unfortunately, because of some of the misgivings in years past, it's a policy area that we have to get involved in. Moskowitz: We've gotten to a point that year after year after year we continue to send more money and we continue to hear [about] teachers having to dip into their pocket for school supplies. That's so unacceptable. We had to carve that money out to specifically say that school board districts can't use this money for anything else except for school supplies so that their teachers are not dipping into their pocket. I think it's time to start looking at spending the money in the classroom, spending the money on the teacher. WLRN: The new law passed in response to the Stoneman Douglas shooting includes $400 million of spending. Is that an appropriate financial response given the scale of the tragedy in your district? Rep. Jared Moskowitz, D-Coral Springs, asks a question about a concealed weapons bill during a meeting of the criminal justice subcommittee, Wednesday, March 15, 2017, in Tallahassee. 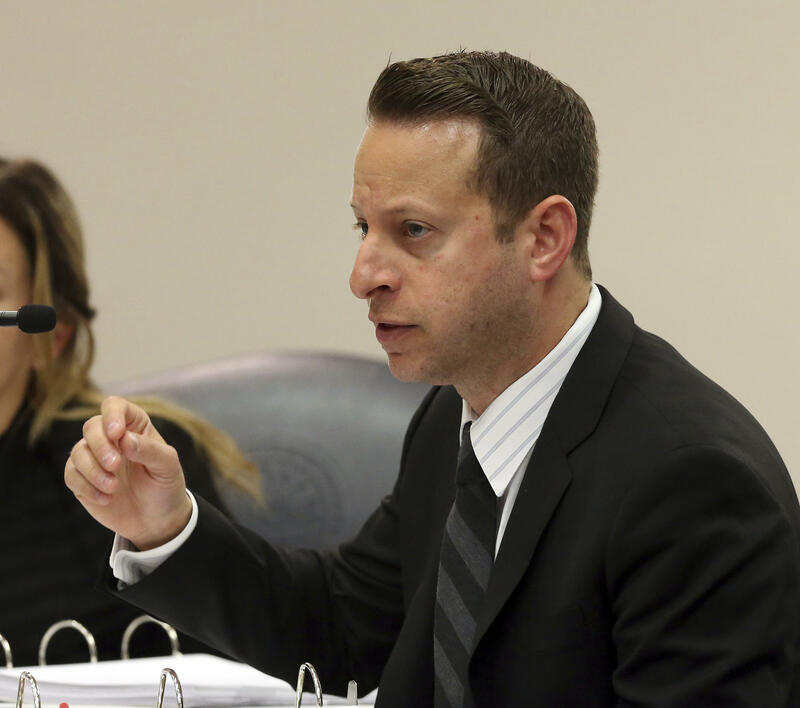 Moskowitz: I don't know what the appropriate level of spending is when 17 people die at a public school. I don't know. Is that $400 million? Is that $1 billion? I don't know the answer. I don't know if there is an appropriate level. What I do know is that we responded. Washington, D.C. has done nothing. Taking $400 million from other areas of government and redirecting it to these priorities, I think, was maybe not sufficient, but necessary in this budget year. Oh, by the way, we can come back next year and do the same thing. This is not just a one-off deal. Trujillo: The easiest part was the financial part. You could always come up with money. You could find ways to be more creative with the state coffers and allocate money. I think the hardest part for both of us, for both parties, was what policy changes are we going to make to make sure this doesn't happen again. If we allocate money -- $400 or $500 million, or $1 billion or $5 billion -- and this happens one more time, was it really a good use of money? One of the things I'm most proud of is the work we did on the policy. WLRN: You did see some Republicans vote no and you saw some Democrats vote no on the legislation. Moskowitz: That's what compromise looks like. This idea that the Republican-led legislature and the Republican governor were going to deliver a Democratic bill with every item we wanted in it -- it's fantasy. The idea that had we just said no to this bill, [Republicans] would have given us what we wanted -- it's fantasy. 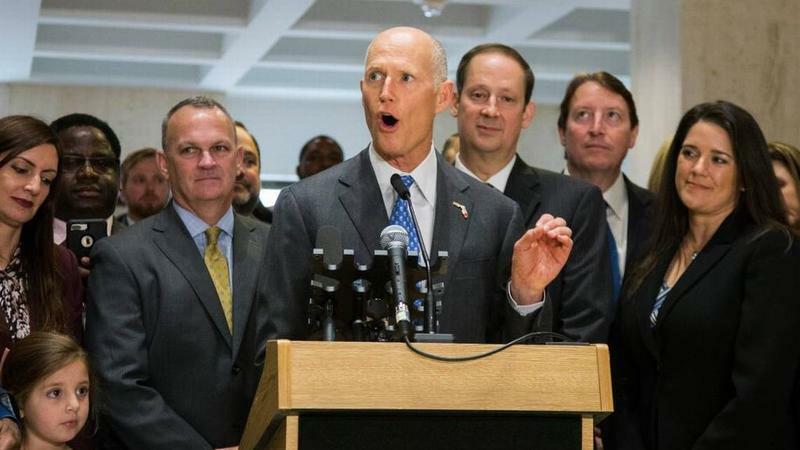 WLRN: Is it your estimation that a similar bill can happen again next year? Moskowitz: I don't know what dollar amount we're going to commit next year. WLRN: Do you think there will be something? Moskowitz: I don't believe this is a one-off. I don't believe it. There were enough members of the Legislature that were impacted by the idea that this happened -- a Sandy Hook sort of event -- happened in the state of Florida. I think they were impacted by the students coming and talking to them. School hardening can't happen in one year no matter how much money you throw at it. So that's clearly going to be something we come back to. Another piece of this bill was the commission. There is a commission that's going to look at what happened in the city of Parkland. It's going to make recommendations. When those recommendations are available to us, and they will be available for the next legislative session, we're going to look at those recommendations and figure out which ones should be implemented. 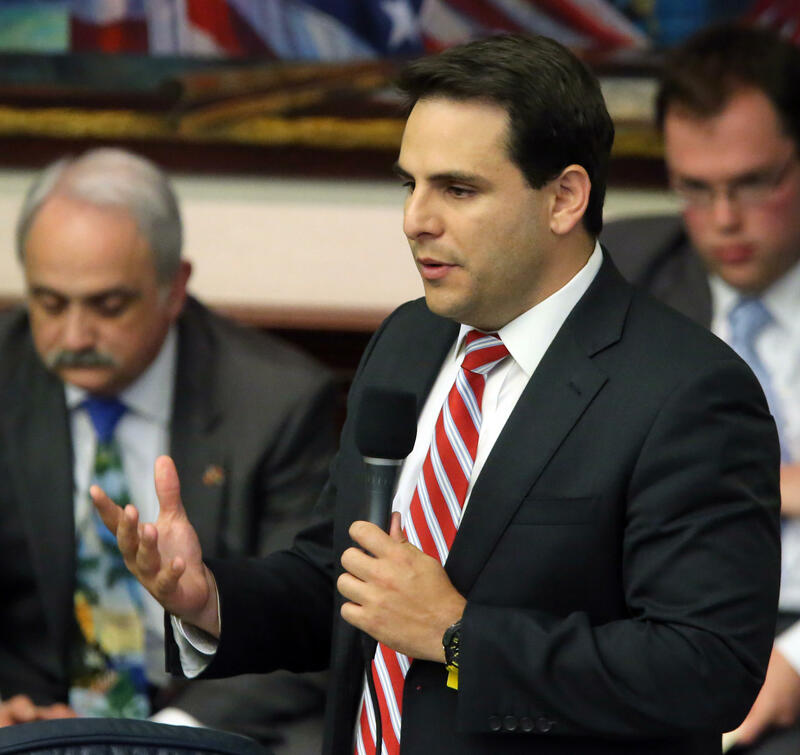 Florida House Appropriations Committee Chairman Carlos Trujillo, R-Doral, has served eight years in the House. He is unable to run for reelection because of term limits. Trujillo: I definitely agree. You have 17 parents showing up. You don't know the political affinities. You don't know their backgrounds to determine their views. They all said this is good legislation and it's a starting point. It's not a silver bullet. It's not going to solve all of our problems, but it's definitely a position that we can be proud of. People were rooting for us to fail. It's a much better story to say government reacted. We definitely put our partisan hats down and ran towards a compromise. WLRN: The first new gun restrictions in Florida passed despite heavy lobbying against the legislation by the National Rifle Association. Moskowitz: We deal with a lot of special interests up in Tallahassee. Those special interests, whether they're for the insurance industry or for any other industry you can think of, has a lobby. I think the NRA is no longer even representing its members. I think the NRA membership looks more reasonable than its leadership. The NRA has really become no different than any other business lobby in Tallahassee where it's just about making profits. The problem is is that if making profits as much as possible is making it easier for kids to die in school, we need to start looking at it as no different than any other business lobby. I think we have to start looking at it as what it has become over the years. They're no longer about protecting their members' Second Amendment rights. It's about selling things at stores and gun shows, period. WLRN: Does that change how the Legislature ought to treat the lobbying of the NRA? Moskowitz: The NRA, just like any other business lobby, should be treated the same. When the NRA comes and speaks, if its funded by Smith and Wesson, we need to treat it like its coming and talking about a corporate entity, not that there's some group of people that are sending them $5 checks. We know that's not how the NRA is funded. Trujillo: Whether it's the NRA or the teacher union, they have an agenda and you have to understand what their agenda is. And you have to take it at face value and really analyze it and be critical of it. I own multiple guns. I believe in the Second Amendment. I was a member of the NRA. I had a C+ rating prior to this session. Who knows where that will go this year? But I think you just have to be rational.I agree with Rep. Moskowitz that sometimes there's a huge disconnect between the leadership of some of these special interest organizations and their membership and we have to acknowledge that. 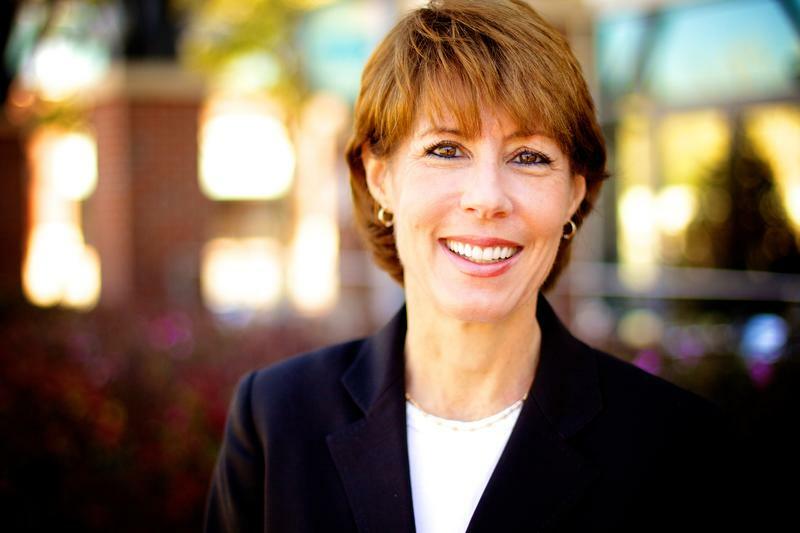 WLRN: Could the Legislature’s action against entrenched lobbying expand to other issues? Trujillo: I really really hope so. There's no reason for every single bill that's controversial to go down strictly down party lines. I'm hopeful that people will have the courage to really vote their convictions on both sides of the aisle. This is in the best interest of the state. It may not be the most popular thing amongst my base. It might not be the most popular thing with my donors, but it's what's right and in the best interest of my neighbors, my friends, the people who voted me into office. WLRN: What are some of those issues or industries that you think this could cast a shadow toward? Trujillo: I think across the broad spectrum, whether it's insurance or whether it's education, whether it's health care -- whatever that issue may be and some of them are just very parochial in nature. Moskowitz: I disagree with about 99.9 percent of the things that come out of President Trump's mouth. But the one thing that he said is true is that the system is rigged. Period. The system is rigged. Everybody knows. Every voter knows that the system is rigged. We don't talk about it enough because it's hard to explain how it's rigged. We could say it's rigged because of money. It's more difficult than that. It's so many layers of rigged. The whole system right now is geared towards business and money. Period. There is a vacuum of leadership from all sides.